There was a great radio piece on the Water Stories exhibition at the Museum of Science on Here & Now on NPR. Robin Young interviewed Anne Neely and used a lot of my audio composition to capture the essence of the exhibition. Her paintings, currently on display at Boston’s Museum of Science, explore the beauty of water, but also raise a cautionary flag about issues that threaten the world’s water, including pollution and climate change. 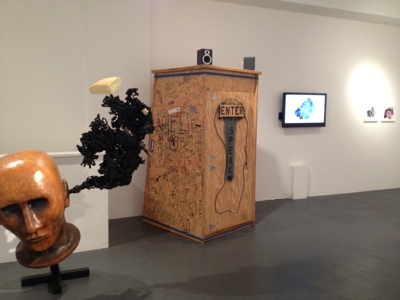 The exhibit aims to elicit visceral connections for viewers and listeners, and also raise public awareness about water issues. Feel free to contribute your own dreams via the website or the Hotel Dreamy iOS app. I was interviewed for an article on the role artists can play in innovation in Boston, a city renowned for other sorts of innovation whether it be technology, biotech, education etc. It’s an interesting topic and I actually am optimistic that artists are being included more and more in forward-thinking cutting-edge discussions that are not necessarily related to art. You won’t be regaled with a beginning-to-end story of, say, a heart attack from first twinge to hospital to recovery. Rather, you’ll be immersed in bits and pieces of human experience, all united by one concept: what it’s like to be a patient. I will be performing and speaking about Ocean Voices at the annual Blue Mind conference organized by marine biologist Dr. Wallace J. Nichols. It is a conference focussed on neuro-conservation and how the ocean can effect the brain. I’ll be part of a session with David Poeppel, a neuro-scientist from NYU and Jim Toomey, the creator of Sherman’s Lagoon, the syndicated comic. Here’s a nice article about Scapes in relation to a very interesting new musical video game called Proteus. I like thinking about the connections between real and imagined worlds. While Proteus is very much concerned with living in the now, Burgund is “trying to connect people to what is around them, past, present, and future.” Playthroughs of Proteus are ephemeral; there’s no way to record music in-game, leaving you to enjoy it in the moment. Proteus is about letting go while Scapes is about writing clues for the next person to consider. This past month has been insane creating a new piece that came about rather serendipitously (and with a very compressed timeline). I have been trying to get a piece going on the topic of health for some time now as it is a fascinating area for me, but I have always run into logistical issues. So when fellow artist Kelly Sherman out of the blue got in touch to see if I wanted to collaborate with her on an opportunity to create a new piece for the Healthcare Experience Design conference, I jumped at the chance. I will post more about the ongoing piece soon, but for now, I only have time to announce that it exists. You can check out the website and download the app to listen and participate as well as soon see more photos of Kelly’s wonderful visual treatment of my long-time partner in crime, the Bring Your Own Voice booth. I have a new piece on exhibit at the Puke Ariki Museum in New Plymouth, NZ. The piece is called “A Walk Through Deep Time” and is a collaboration with New Zealand artist extraordinaire, Trudy Lane. Through the marvels of the internet, we were connected from 9 time zones and 18 hours apart by our significant overlaps in artistic practice. Our love of science and discovery as well as the outdoors and geo-awareness was quite remarkable and pleasant to discover. This piece is a part of the SCANZ 2013: 3rd nature creative residency which included a group of amazing artists who all created pieces for the exhibition. I am honored to be a part of the show and excited that my work, at least, has had the opportunity to travel to New Zealand. Someday, I hope to do the same. Please check out the iOS app and feel free to contribute your own recordings regardless of whether or not you are on-site. The wonderfully revitalized and re-launched Big Red & Shiny has published a review of ROUND:Cambridge, by the amazing Stephanie Cardon. I’m participating in the Annual Dream Festival of the Deep Listening Institute as a digital artist-in-residence. Basically, they have ceded control of their Facebook page to me for the week so I can do whatever dreamy things I would like. I will be using the time to share dreams contributed to my Hotel Dreamy and Dreamy Me projects. I hope to encourage people to contribute more dreams as well. It should be a good audience for that! Last weekend, I was honored to be on a panel at the Multimodal Approaches to Learning International Conference at the MET. I got to speak about how my work follows a different approach to collaborative engagement of museum visitors via their ears and experiences. Of course, Roundware was a big part of the discussion and I’m hoping that the attendees found it useful. I had a great time as I got to meet some of the other presenters including several amazing sound artists: Stephen Vitiello, Lou Mallozzi, Bruce Odland and Johannes Goebel. Being the new-comer on the sound art block, I was both dramatically humbled by their genre-defining greatness and encouraged by their uplifting stories, projects and approaches to this esoteric world. Eliot Van Buskirk wrote a nice article and did an interview with me about Roundware on the popular Evolver.fm blog put out by The Echo Nest. Perhaps it takes someone of a more artistic bent to build a platform for pinning songs and live-recorded audio to specific locations on a map — and then open-source it, so that any other individual or company can use it to build whatever they want using the same basic framework. Burgund’s apps are alluring, combining augmented reality, location, art, and crowdsourcing in a way that hasn’t quite been done before, though it builds on Burgund’s own Scapes project. The ROUND project succeeds well beyond its stated mission. One of the hazards of public art is that neighborhood residents tend to grow accustomed to them and, over time, they fade into the landscape. The app counteracts that tendency by both identifying works and encouraging direct viewings—Cambridge’s own exotica, rediscovered by intrepid urban explorers. At the very least, the app encourages viewers to pay closer attention to their surroundings by, ironically, interacting with a cell phone. After several years of discussions and a year of beta availability, my site-specific sound art installation ROUND:Cambridge has officially launched. 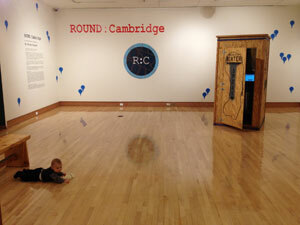 ROUND:Cambridge explores the city of Cambridge, MA through music and evolving participant commentary. The installation ‘inhabits’ the entire city by creating a location-sensitive layer of audio consisting of a musical composition along with commentary recorded in-situ by participants. Each participant experiences a continuous, unique, real-time audio stream as they walk, weaving location-specific voice content in with a location-aware instrumental composition. This piece was commissioned by the Cambridge Arts Council and there is an accompanying gallery installation, but the piece is only truly experienced by wandering the streets of Cambridge with the free ROUND:Cambridge Android or iOS app in hand. I am happy to announce the official release of a piece I created for the journal of Public Art Dialogue, an organization dedicated to promoting discourse on public art globally. I have written music – called Music for Journaling – inspired by this journal filled with words, patterns and ideas related to public art and am asking that people who read the journal react to those same words and patterns and make a verbal contribution to the music. Over time, more and more reactions to the journal and reactions to reactions will be collected, creating an evolving conversation about this particular (mass-produced) physical artifact as well as all the ideas and philosophies represented between its covers. Have a listen and join the conversation if you feel so inclined! 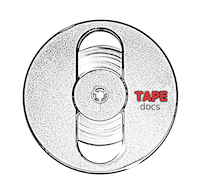 I was recently interviewed for a new online radio program called TAPEdocs. The show takes an uncommon host-less approach to dive into the worlds of people who do interesting (or at least unusual) things. My interview can be found here – “The way people are saying things” – but you should check out the others as well, especially the one about the guy who helped fix the mirror flaw in the Hubble Telescope. Ocean Voices is being featured on the National Museum of Natural History‘s Ocean Portal site. They did a brief interview with me when I was down in DC for my Smithsonian fellowship and include that along with the Ocean Voices map of participation. Dreamy Me is part of a series of exhibits called ‘Now. Here. This.‘, curated and hosted by 3-art, a wonderful triumvirate of artists/curators who do a whole bunch of amazing things. Please check it out; you can listen and customize your audio stream right from the website and every time you listen, it will sound different, so check back frequently! I’ve just finished and released the first part of a bigger project centered on exploring dreams and people’s recollections of them. Hotel Dreamy was commissioned by the Museums and the Web conference, which provided a great opportunity for me to begin this series of pieces. I never used to be very good at recollecting my dreams, but somehow when I think more about remembering them, it’s easier to do so. I’ve been recording mine when I wake up in the middle of the night and then I proceed to forget them entirely so when I listen later, it’s new again, which is pretty cool. Earlier this month, I was asked to speak about my work at the IMLS WebWise conference in Baltimore. It was pretty cool to hang out with a bunch of museum and library people who are all doing really interesting forward-thinking things with technology at their respective organizations. Here’s an overview blog post on the WNYC site. I was part of a panel called “History Places and Spaces: Learning & Participation on the Move” and talked about my participatory installations, mainly Scapes. I shared the stage with Nancy Proctor of Smithsonian, Rob Stein of the Dallas Museum of Art and Jason Casden of North Carolina State University Libraries and you can see the whole glorious presentation (along with overly diligent subtitles) thanks to the video crew. I was the third presenter and began around 46 minutes into it. I am working on a piece for the journal of Public Art Dialogue, an organization dedicated to promoting discourse on public art globally. Contrary to what it sounds like, I am not writing an essay (readers rejoice! 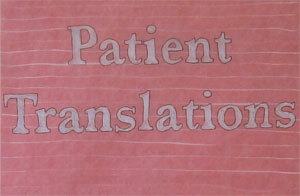 ), but rather have been asked to create a new artwork specifically for the journal itself. This is a bit of an experiment for any academic journal to take this approach, but it seemed pretty interesting to me, so I was excited to get involved. The title of the issue is “Audience Response” and there will a number of scholarly articles, another art project and my piece, called Music for Journaling. It’s fairly obvious why they wanted my work for an issue on this topic! Essentially, I will be writing a piece of music designed to be listened and contributed to by people who are reading or have read the journal itself. 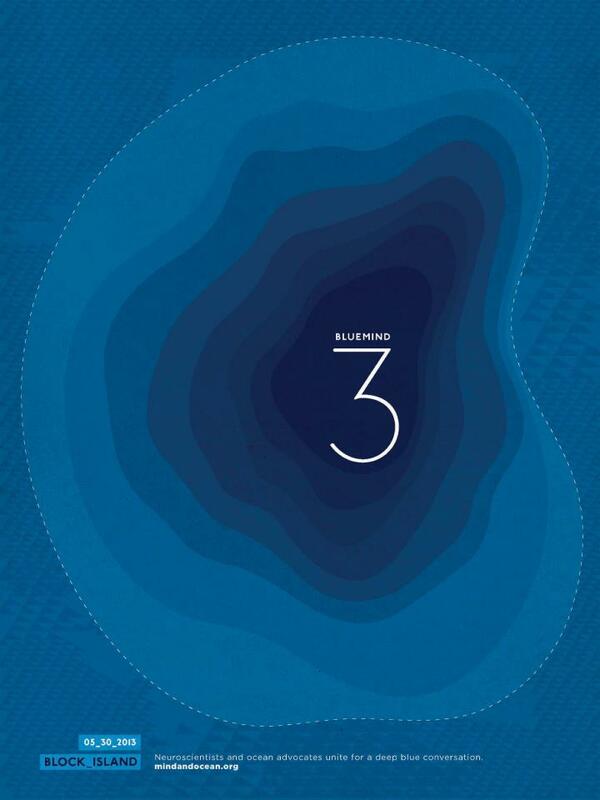 I envision people all over the world reading the journal in the comfort of their own homes while hearing ongoing and evolving commentary from each other. I hope the experience will be as if you are jumping into the collective stream of consciousness of all the journal readers as they explore the ideas, philosophies and opinions expressed about public art throughout the journal. I will be living in DC for two months during this fall and winter as a Smithsonian Artist Research Fellow. I’m exploring the vast collections of audio recordings they have spread throughout the institution for use in future projects. It’s pretty great to be able to do research and have the opportunity to really experiment with no hard exhibition dates to hit (yet!). I’ve started a SARF blog (Smithsonian Artist Research Fellowship…they love acronyms down here) if you want to hear more about what I’m up to with this on an ongoing basis. I’m working on a commission for the University of Colorado which will be installed throughout their campus in Colorado Springs beginning on September 8th. I’ve done a bunch of site-specific outdoor pieces before, but I’m very excited about the opportunity to explore a part of the country I have little experience with and which turns out to be really beautiful! I’ll be working with students and faculty to create a landscape filled with the ghosts of individual past experiences and performances, both real and invented. I’m not really sure that makes sense, but it’s going to be cool! I was extremely honored to receive an ‘Ocean Advocate’ award last month from Céline Cousteau. I felt more than a little out of place given the other recipients’ track records, but am very pleased that music/art is recognized alongside scientific efforts as playing an important role in ocean conservation. I will be performing Ocean Voices in the nation’s capital on May 20th as a part of Céline Cousteau’s ‘Ocean Inspiration’ initiative as well as the opening night of the 2011 Blue Vision Summit. I’m excited to bring Ocean Voices to more people and to perform in a city I have never performed in before. The show is at 6:00PM on Friday, May 20th at the Carnegie Institution For Science. Peter Bailey, Marissa Licata and Javier Caballero will be joining me. It’s free and open to the public! 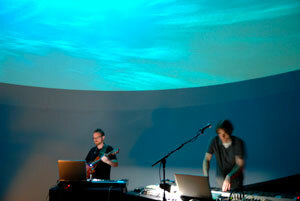 Here’s a video of excerpts from our performance at the Museum of Science in Boston last July. My newest sound installation is open now in the Art/Science Gallery at Boston’s Museum of Science. This 6-channel piece contains the voices of over 250 people from eastern Massachusetts talking about their experiences with race; the good, the bad and the ugly. Check out the newly released Patagonia Music initiative. It’s another great way for Patagonia to expand its philanthropic efforts while promoting some great music simultaneously. And of course, I have an ulterior motive, which is to say that ‘Ocean Voices’ is included in the ‘New Music Stream’ section for everyone to enjoy. They have a super-slick iPhone app as well which will stream all the music and let you make purchases/donations. Please be forgiving for the time being of all the little bits of weirdness (and gaping holes) that will exist while I make this transition. I’m not technically savvy enough to do a nice, clean cut-over, so this is going to be a bit more of an organic process! My sound installation called Scapes, at the DeCordova Sculpture Park and Museum, enjoyed an extended run and captured more than 800 recordings from museum visitors. Look for more Scapes-like projects in the future! 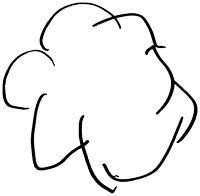 Scapes is a location-sensitive, evolving, interactive piece of music. It allows participants to augment the physical landscape of the museum’s sculpture park by leaving audio commentary in locations of their choosing for others to hear within the musical setting. Video. We are collecting voices from across the world responding to several questions about the ocean in hopes of fostering communication and collaboration in the name of ocean conservation and participatory sound art. Anyone can participate so check it out and become an ocean voice! 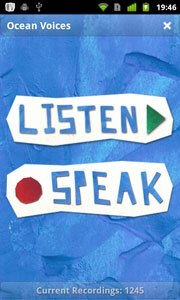 You can listen to other voices from around the world too. On May 1st, I put on a performance at the MIT Museum which was a part of the Cambridge Science Festival as well as Boston Cyberarts. I worked with guitarist Peter Bailey as well as video artist Francois de Costerd to create several new pieces based on the theme of ‘the elements’. We collected voices to use in this performance at schools, community events, the Science Festival opening event at MIT as well as via an online system. Watch video redux of the show!